This comprehensive text describes the diseases associated with water, their causative agents and the ways in which they gain access to water systems. It also details the methods for detecting and identifying waterborne microorganisms, the ways in which they are removed from water, and the risks they present to water users. 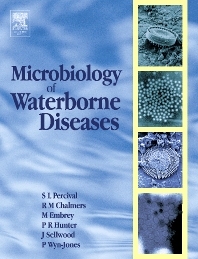 This handbook will serve as an indispensable reference for public health microbiologists, water utility scientists, research water pollution microbiologists environmental health officers, consultants in communicable disease control and microbial water pollution students. Researchers in infectious disease, microbiology, public health workers, and water and wastewater treatment engineers.